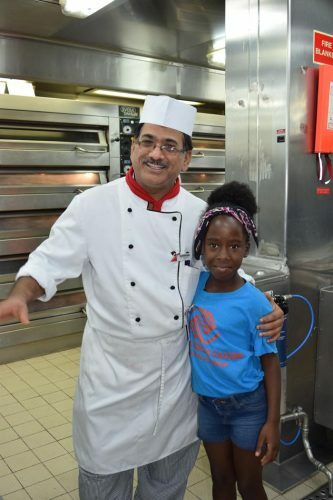 Carnival Cruise Line has hosted an epic day of fun for over 200 kids from Boys and Girls Clubs in central Florida. The cruise line continues its effort with the communities across North America. 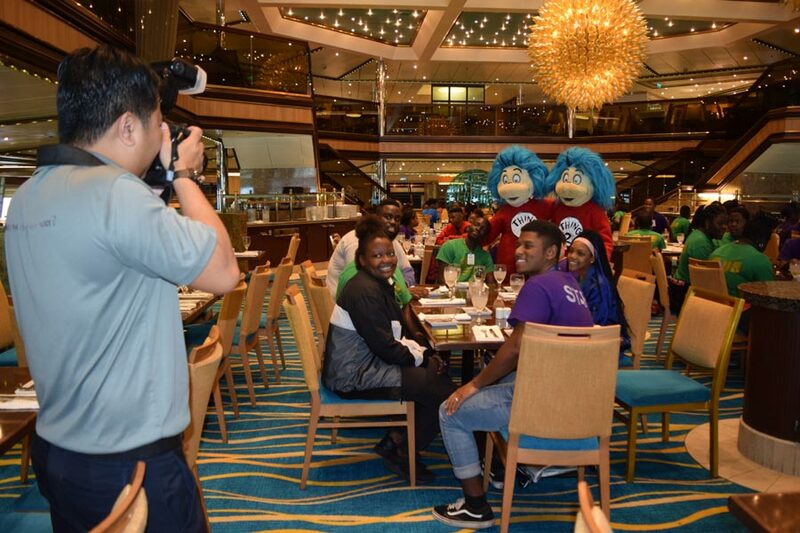 The kids from the Boys and Girls Clubs in Central Florida enjoyed a day of fun aboard Carnival Sunshine and Carnival Liberty. Fun days were held when the Carnival ships were docked at their homeport of Port Canaveral. They all got to enjoy activities and events put on by the cruise line just for them. Included in the day of fun was a behind the scenes tour around the ship, magic show and a lunch to remember. 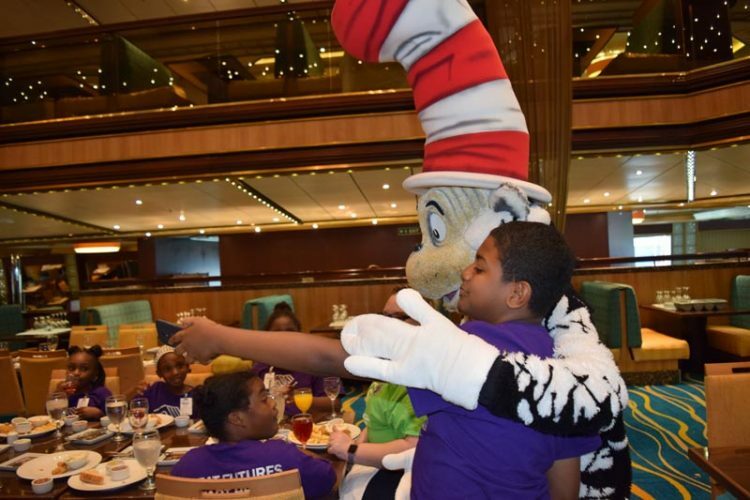 The kids had the chance to enjoy a lunch with Dr. Seuss characters including Cat in the Hat and friends. As always during these occasions, there were plenty of photo opportunities too. The kids also had some time to ask ship members about the way of life onboard. this must have a been a great experience for the kids and to see how a cruise ship works and what’s on offer. Carnival Liberty is a conquest class ship and currently sails short cruises to the Bahamas. Carnival Sunshine which is also based out of the Florida port sailing Eastern and Southern Caribbean cruises. Carnival Cruise Line is the number one cruise operator out of Port Canaveral and carries 600,000 passengers a year.